Lazada.com.ph online shopping haven for pinoys | Life, Music and the Web… Revived! Life, Music and the Web… Revived! The first time I came across lazada.com.ph was on TV. I think my wife was watching Princess and I at that particular time then on every commercial break the lazada ad caught my attention. Specifically the part where it said Cash on Delivery. I said to my wife, wow is that for real? So being in the internet 24/7 i quickly browsed their website. It did not take long for me to familiarize the websites interface, of course it helped that i am a web developer by profession, but the site has a simple yet very comprehensive layout. Kudos the guys who developed that site, you are online shopping cart masters without a doubt. So while browsing, many gadgets on sale where presented to me and seemed like tempting me like crazy. Though sorry to say, i can’t be tempted by these gadgets no more. Well honestly. i kinda talked to my wife about buying a macbook pro for apple apps development and I said to her lazada would be perfect as at that time there was somewhat of a discount though not much but still it’s a discount. My wife instantly trounced that idea, reasoning that we have a house to take care of. We still need to finance for the tiling of the floor and building of the fence and gates. So that idea was really shortlived but still i had fun browsing about the macbooks, asus laptops, and more gadgets that i think i can use but clearly the intention of buying is slim. Ok so gadgets are not the only things or the biggest things in lazada as far as i am concerned or our family is concerned. As you all know we just recently had our baby. In fact she’s only 3 years old as of this writing, born last dec. 6. So to say, our baby is like our priority now. Whenever we plan to buy something we make sure the items for the baby is no.1. With that said, my wife and I agreed lazada is the perfect avenue for us to purchase things that our baby needs. So we decided to give it a try. So on the lazada website, there is a category specifically labeled for babies, there it lists tons of items your babies would enjoy. While browsing, my wife had a quick check of what potential items that our baby might need or may still need. Diapers! That was a no brainer of course. Only we aren’t getting those disposable ones. Matter of fact we already had bamboo dappies, some sort of cloth diaper made of bamboo so they say the baby will be perfectly rash free, I guess we’ll just see about that. We bought that kind just here in our local SM store. OK so on lazada, we tried to find a similar brand but it was not available. We we’re not really that big on that particular brand though as a local Mom adviser or kind of expert told us that any clothe diaper is OK, micro fleece, micro fiber any will do and even explained to us that the downside of bamboo made diapers is that it gets dry slower than it’s counterparts not to mention its more expensive. So we found a clothe diaper that we thought was perfect for our baby. This one http://www.lazada.com.ph/Happy-Baby-Reusable-Diapers-Printed-Collection-BUY-2-TAKE-1-47437.html It’s currently out of stock as of this writing but that’s the one that we ordered. The order process was just quick. They’ll require you to signup add some delivery details and chose your payment type. Of course, we opted for the cash on delivery, afterall it was what it caught my attention. So the whole order process including signup probably takes 5 mins or so, it might depend on how adept are you on filling up online forms. So at that point I said to my wife we will see if this lazada is really the real deal. I never imagined shopping online without shelling out a single centavo before you get hold of the item you purchases. I just told my wife, Next we wait. As stated on the terms, we expected the item to arrive like 10 days because we are located outside of Metro Manila, we are here in Davao City. Also one thing worth mentioning is that not all locations has Cash on Delivery Option. On the website, they have this location verifier to check whether your location is included in the places where they allow cash on delivery. It’ s not even city wide i believe, there are just particular places in davao where they can reach but i can say it’s like 90% of the metropolitan area. Anyways, the package arrive too much earlier than we expected. It arrived after 2 days. waaayy earlier than the 10 days they mentioned. The only downside is we had not prepared the money, not that we don’t have the money, we have but as you all know, COD requires you to prepare the exact amount. At that time, that particular item costs P720 as it was on sale. Luckily my wifes mom got some change so we kinda borrowed the money. I had a P1000 bill on my wallet but the delivery man said that he’s got no change and it was understandable since it was my obligation to prepare the exact amount as it was stipulated in the COD terms. So when the amount was settled my wife was asked for some IDs as the order was in her name, then she was asked to sign like 4 papers regarding the receipt of the order and invoices. Then the package was handed to us and we we’re very happy and the same time excited to open the item and to see if we had made a good purchase. We opened the package and it was perfect. What we saw on the site was really what we got. It was not as good as the more expensive bamboo dappy but it was nice in its own right. It fits our baby well not to mention my wife loves the color and the design. So overall it was a good purchase. That was not the only time we went to lazada to online shop. After 2 weeks, maybe, my wife said to me that we need to try birds eye cloth for our baby. The reason is using clothe diaper is quite inconvenient for the one who does the laundry and using disposable diaper increase risks of rashes to our baby. She said we need to go to the mall and purchase. I said wait i think i came across with that on lazada we might as well order one. So i quickly browsed to lazada site then did a quick search for birds eye, 2 brand we’re available. We settled for the cheaper one. We got the child’s care brand this one -> http://www.lazada.com.ph/Child-Care-Birds-Eye-Cloth-Diaper-18-x-27-Pack-of-12-47826.html at that time it was on sale it was like P183. So my wife said it was cheap and so I ordered it. After 2 days or maybe a day and a half as we we’re quite surprised again as we expected it maybe 2 days after the package quickly arrive, this time even though we havent prepared the amount I had some loose change on my desk so I paid the delivery man the exact amount. After all the signing of papers etc we opened the package inside our room. We opened the seal of the clothe and felt the smoothness of it and my wife was satisified she said it was perfect for our baby. Though she noticed one problem! The label says it was pack of 6 BUT we ordered pack of 12. I was liked we’re screwed! lazada is fake! not another internet scammer. I was like fuming mad. You know that feeling when you are double crossed or something. Yes that was my initial reaction. My wife said just calm down and maybe it was just an honest mistake. I said to my wife maybe but that was irresponsible on my part, still at that point my frustration is still evident. So what i did was i took photos of the packaging, the items, the invoice and the screenshot of the websites my order section to prove that what we paid for is pack of 12. Then i wrote on their customer support regarding my issue. I expected they will reply like the next day or so because they wil still follow protocols like check everything to see if my issue is really legit, once again I was surprised, when i check later in the night i saw on my mailbox that there was already a reply coming from a certain Eman, a customer support from lazada stating that they have forwarded my queries to their back office and I am rest assured it will be taken cared off. So i waited and waited, it was not quick and I kinda grew restless. You know us people when we are waiting for something it is like we are waiting for eternity, 3 days is like forever. So after 3 days or so that i still did not get my item i again emailed their support demanding that i needed some follow up about the status of my query. Once again they replied quickly that the issue is now being take cared off then the next day maybe like after christmas the package arrived. It contained another pack of 6. So it’s just like we ordered pack of 12, but on two separate packagings. At that point my faith in lazada is 100% restored and my confidence in them kinda sky rocketed. I said to myself im never ever gonna have any doubts regarding this online shopping site. If ill buy something online it gotta be on lazada. Also i’ve got some trivia regarding that birds eye cloth order. I kinda felt guilty or kinda thought that there encoder made a mistake of selling that pack of 12 for just P183. I even thought damn i was so harsh to lazada for even demanding that product be quickly shipped to me. Why?! Because when my wife and I visited some local malls here in davao we we’re really, as in really surprised on the price difference. Imagin they are selling a pack of 3 of the same item, yes same dimension and size same everything but that quantity. You know how much a pack of 3 costs? It costs P115. Whereas i only bought the pack of 12 from the lazada site for a mere P183. Wow, how much of a difference is that? It seems lazada is giving out so much for their shoppers like me plus you won’t even break a sweat in purchasing the item. Though not every item on lazada is a sale or having some price discounts or is cheaper than in the malls, this instance proves that lazada gives you a very very very big edge. Where can you find a cash on delivery and free shipping? Yes free shipping! Why didn’t I mention that? I am not sure how lazada gain profits from it’s business features maybe this will change in the future, I hope not, maybe this is just part of their building there online presence or making their name a household name for us Filipinos but whatever it is I am enjoying and I absolutely salute and recommend lazada for its current state! By the way, just today, i ordered a cherry mobile flare from lazada. I know it’ll arrive maybe on new year or before new year i am not sure how lazada handles holidays. If it arrives after new year it’s no problem for me afterall they stated that the expected arrival should be 10 days. So why did I choose to buy the phone on Lazada? Simple, coz the malls here have jacked up the price of flare from P3,999 to P4,500 and what’s crazy is that it’s not the SRP from the official cherry mobile makers. The stores here are marking it up more for the simple reason that it’s really a hot commodity now like it always solds out within days of restocking. So sorry cherry mobile resellers or local stores. I am a wise buyer and lazada has it available actually it’s just today that it was avaiable on the many days i was checking it and the good thing is I have the lazada discount voucher which i got from signing up to their newsletter so all in all I get the cherry mobile flare phone from lazada for P3,799. Now tell me how would you top that? So what are you waiting for, eager to try online shopping? Lazada is for you! 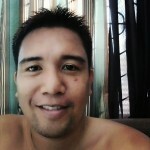 This entry was posted in Friends, IT's it, Personal on December 30, 2012 by Marco. sir, sa tingin niyo po ba pwede po dito sa La Union ? yung cash on delivery po ? Betting for mayweather and i’m not betting again, ever!